The rate of cybercrime in Australia had doubled in the past 12 months, with more and more companies detecting security incidents within their organisations. A recent cyber security report by Telstra found that almost 60 per cent of local organisations surveyed detected a security incident on at least a monthly basis in 2016. This study, commissioned by Telstra and conducted by Frost and Sullivan, surveyed 360 senior IT leaders and C-suite executives across Australia and Asia to explore the current cyber security landscape and inform businesses how to best manage and mitigate their cyber risks. Telstra security solutions director, Neil Campbell, said as the number and variety of connected devices and applications continue to proliferate, and IoT and virtual cloud environments emerge, the surface area for cyber security threats has been growing rapidly. “We are seeing increases in security risks across the board. 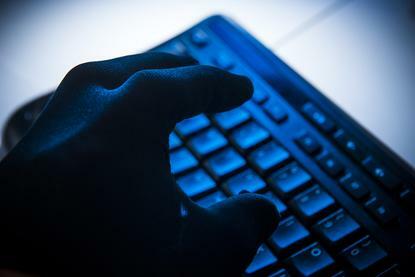 More than half of all businesses experienced a ransomware attack last year – 30 per cent of Australian businesses surveyed have had a business email compromise and the number of Distributed Denial of Service (DDoS) networks attacks are up by more than 200 per cent,” he said. According to Campbell, Australia’s high uptake of technology, combined with its economic strength, makes the country one of the “leading targets in the world” for cyber criminals. This was supported by findings of the report, which indicated that Australia was the top target for malware in the Asia-Pacific region last year. The research also found that ransomware was the most downloaded malware in the Asia-Pacific region in 2016, with about 60 per cent of Australian businesses experiencing at least one ransomware incident in the last 12 months and 24 per cent experiencing one monthly. Alarmingly, of the respondents that experienced a ransomware incident, those based in Australia were more likely to pay the ransom than those in Asia. But one in three Australian organisations that did pay a ransom did not recover their files. “Many organisations are choosing to pay a ransom, which can be a significant sum of money in the hope to restore their business operations. The reality is, there is no honour among thieves and even if you pay the ransom, there is no guarantee you will regain your files or rid yourself of the malicious software,” Campbell added. The report also found that executive involvement in cybersecurity initiatives had increased significantly in the past 12 months and most businesses were planning to increase their IT security spending. Specifically, it stated that the number of businesses where C-level were directly responsible for their organisations’ security grew from 19 per cent in 2015 to 61 per cent in 2016. The report also confirmed that more than 60 per cent of senior executives across the Asia-Pacific region have a “high involvement” in their organisations’ cyber security initiatives. In its attempt to help Australians secure their businesses and personal data, Telstra will be opening two new Security Operations Centres – one in Sydney and one in Melbourne – later this year to support a new suite of Managed Security Services.